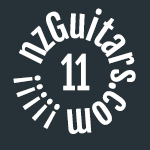 Anyone in Auckland that teaches fretwork? I'd like to pay someone experienced in fret work, to teach me the art of leveling frets , crowning frets, rounding the edges etc. Anyone know of anywhere in Auckland that does this? The only lutherie school I'm aware of is Wellington. Adrian taught me in Auckland just before he closed his shop but I wonder what's in it for a tech to basically train up the competition. The best way would be to obtain a donor neck and watch YouTube videos, of which there are many on the subject. And don't hammer them, get the caul. It makes it so much easier. That'd make for a great weekend course. Wonder nobody's thought to do it. I'd like to learn properly too. Part of it is getting the right tools, having the wrong ones or cheaping out on the wrong things can mess you up. I botched my first practise neck but I learnt a lot in the process. I still have all the stuff for fretwork/refretting my squier, just haven't got around to doing it. I'm happy to buy all the right tools, I only want to learn for my own needs, don't want to do it as a profession. I have lots of doner guitars and basses to practice on before I use my best guitars, and will most likely just use youtube video's. If anyone in Auckland wants to join forces and learn together I'm happy to start a fret work support group we can share tools and resources haha. My mate did a full course with goldbeard in Wellington, made his own guitar and it came out great, was better than a lot of high end guitars, I was so impressed with it. Does anyone have Adrian's contact details I'd like to ask him. Maybe if a group of us pay him to teach us together it will work out worth his while. Voxshall wrote: Does anyone have Adrian's contact details I'd like to ask him. Maybe if a group of us pay him to teach us together it will work out worth his while. I'd definitely be interested in a full set-up course, be nice to be able to adjust my guitars to deal with the Auckland humidity, instead of just keeping on raising the action until the strings are about a cm off the fretboard. I picture a weekend residential course in a country setting with evening beer and jamming. Will I find that on Trivago? Molly wrote: I picture a weekend residential course in a country setting with evening beer and jamming. how hard can this be to arrange???? Could be a nice wee earner for someone. Anyone had any dealings with this guy, we could get numbers together and ask him if he is keen to teach fretwork and setup. Grant? You looking for a new career? Just an update on this, Treavor at Binford said it might be a bit hard to do a group teach, but he spent considerable time one on one with me teaching me the art of fretwork so I definately endorse supporting him. I have placed a massive order at Stew Mac as well as getting micro mesh from a pen maker in browns bay and will get some less specialist diamond files at a place cheaper than Stew Mac. So if anyone in Auckland want to work on guitars together I'm happy to share my tools and learn from each other's mistakes ha ha. It's my goal this year to get better at setting up and maintaining my guitars and I find involving others seems to keep me on track. I also have the use of a CNC machine so might have a play making a semi hollow electric. Later on down the track.